A 54-year old man presents by private vehicle to the Emergency Department with chest discomfort he described as “heartburn.” The pain is substernal and non-radiating. He is also mildly diaphoretic. Is specific for left anterior descending artery (LAD) occlusion. Represents ~2% of LAD occlusions. May persist until the culprit artery is opened (making it a STEMI equivalent) or may evolve into an anterior STEMI. This patient needs to be managed as a STEMI with analgesia, nitrates, oxygen, aspirin, heparin and (most importantly) emergent PCI or thrombolysis! Q4. Can you guess what happened next? The patient was admitted for emergent PCI. Angiography revealed a 100% mid-LAD occlusion, which was successfully stented. His troponin peaked at 197 ng/mL. The patient was eventually discharged with a normal ejection fraction. 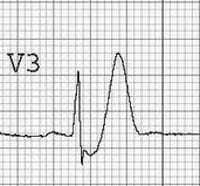 The de Winter ECG pattern is a recently-described STEMI equivalent that emergency physicians and paramedics must be aware of. 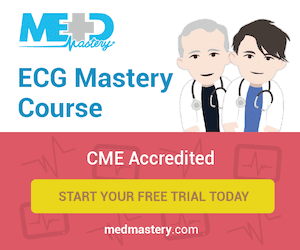 These patients typically have critical stenosis of the LAD requiring emergent PCI or thrombolysis. 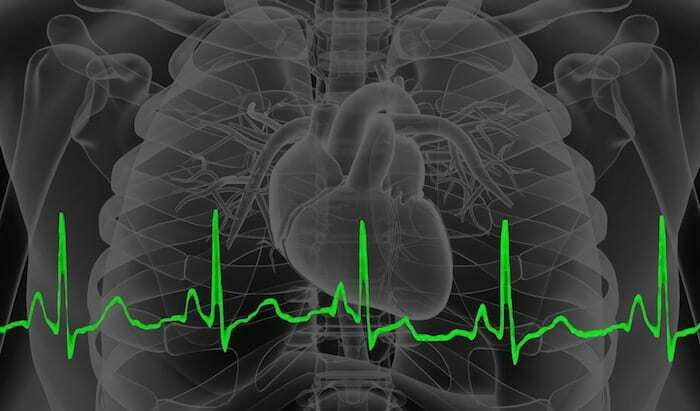 Lack of familiarity with these ECG findings may lead to reluctance to activate the cath lab and unacceptable delays in reperfusion. Remember that in many cases the de Winter pattern persisted until after the target artery was opened. Don’t wait for serial ECGs to evolve into a more easily recognisable STEMI pattern (which may never happen): activate the cath lab now! may i suggest a few more points? 2. hyper acute T’s in V1-4 (you mentioned) alone would be worrisome for acute OMI (occlusive MI). 3. mattu has said the an upright T in V1, esp if its higher than the T in V6 (unless its all old), is worrisome. 4. very poor R-wave progression V1-3. thank you for this excellent example of de Winters.